Excellent Condition, Lincoln Certified, ONLY 51,082 Miles! Heated Leather Seats, CD Player, Bluetooth®, Dual Zone A/C, Remote Engine Start, Alloy Wheels, ENGINE: 3.7L TI-VCT V6, Turbo Charged, iPod/MP3 Input, Satellite Radio, Lincoln Certified Pre-Owned. 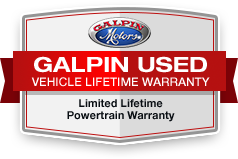 ======LIMITED LIFETIME POWERTRAIN WARRANTY: This used Car comes with Galpin's Lifetime Used Car Warranty. It's a Powerlife Limited Lifetime Powertrain Warranty and it covers you for as long as you own this vehicle. In addition, it has gone through and passed Galpin's 176 point inspection. We also offer a 3-day money back guarantee so if for whatever reason you want to bring it back you can. For peace of mind, Galpin runs 3 vehicle history reports for you to review once at Galpin. ======KEY FEATURES INCLUDE: Leather Seats, Heated Driver Seat, Turbocharged, Satellite Radio, iPod/MP3 Input, Bluetooth®, CD Player, Aluminum Wheels, Remote Engine Start, Dual Zone A/C, Heated Leather Seats. MP3 Player, Keyless Entry, Child Safety Locks, Steering Wheel Controls, Electronic Stability Control. ======DISCLAIMER: Limited Lifetime Powertrain Warranty is non-transferable. Terms and conditions apply. Must perform manufacturer recommended maintenance and have oil and filter change completed at a minimum of every six months or 7,500 miles, whichever comes first. All service must be performed at a licensed repair facility. Eligible vehicle must be 2007 or newer and have less than 100,000 miles at the time of sale. Additional exclusions apply. Excludes Lease Buyouts. Offer valid through close of business December 31, 2018. *All figures are EPA estimates. Actual mileage will vary. Kelly Blue Book values are calculated based on the current Retail Book. Pricing analysis performed on 10/9/2018. Horsepower calculations based on trim engine configuration. Fuel economy calculations based on original manufacturer data for trim engine configuration. Please confirm the accuracy of the included equipment by calling us prior to purchase.